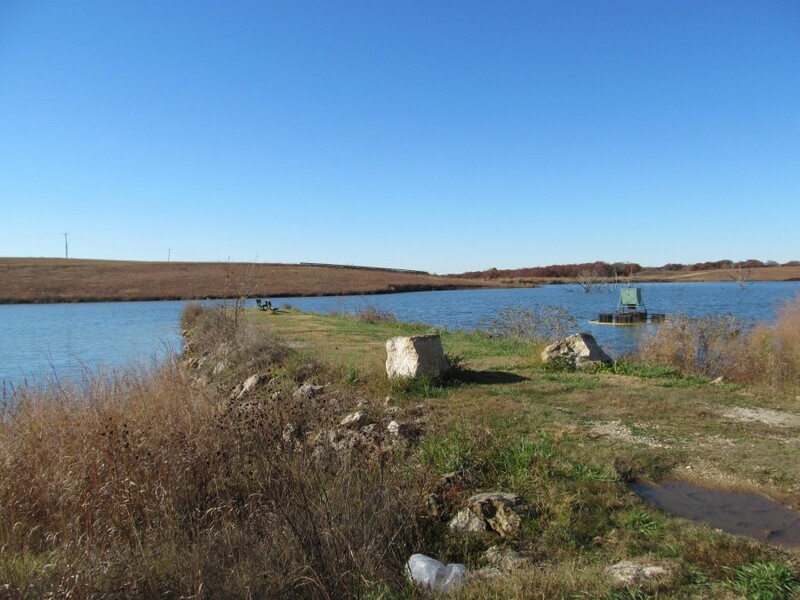 Yates Center Reservoir is located three miles south on Highway 75 and three miles west on 80th Road. Signs are posted. 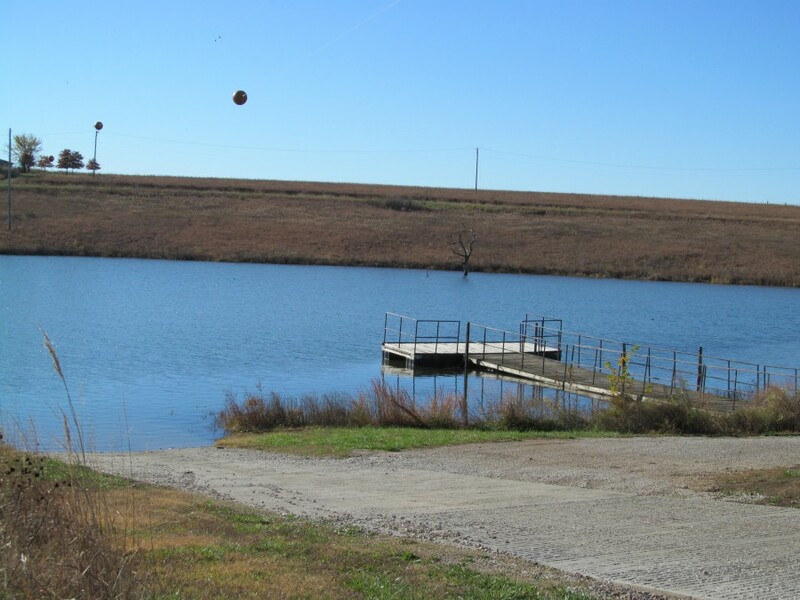 Yates Center Reservoir has 212 acres of surface water, with 500 acres of land surrounding the lake. 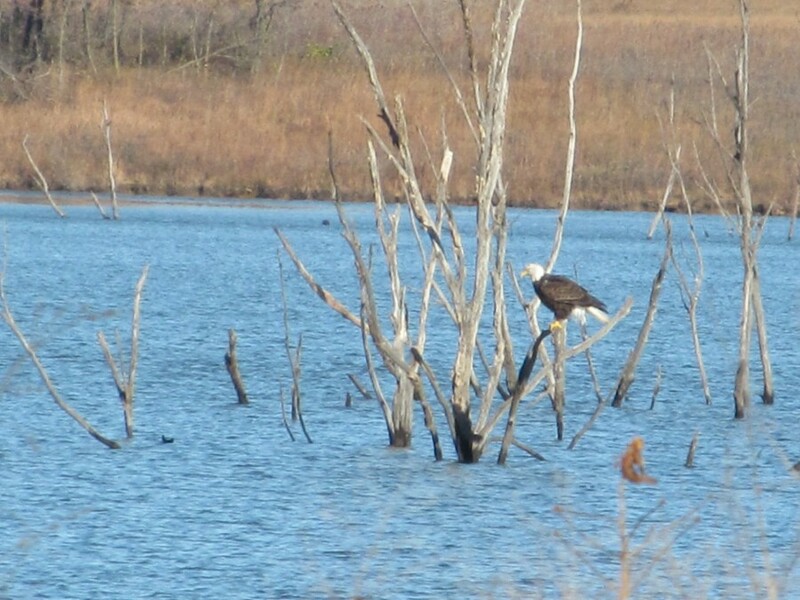 The entire area offers: fishing, boating, water skiing, hiking, hunting and rough camping. Aggressive management includes fish stocking, supplemental feeding, restrictive length and creel limits, and fish habitat development. Regulations are a key component of the management plan and may be adjusted in the future based on sampling results. To maintain quality fishing, the regulations will be strictly enforced. 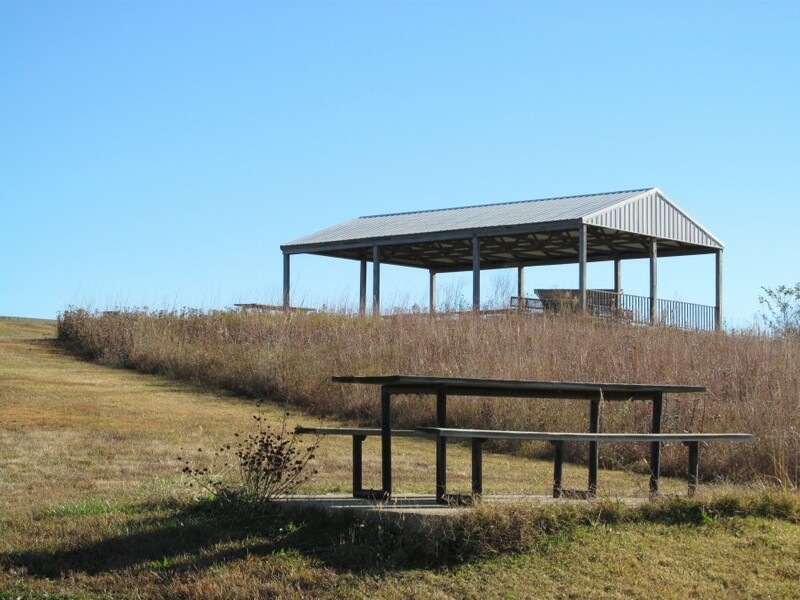 Yates Center Reservoir has a boat ramp, fishing piers, and a shelter house. Camping is permitted in a designated spot by the parking lot. The lake has a vault restroom, but no other camping hook-ups are presently available. 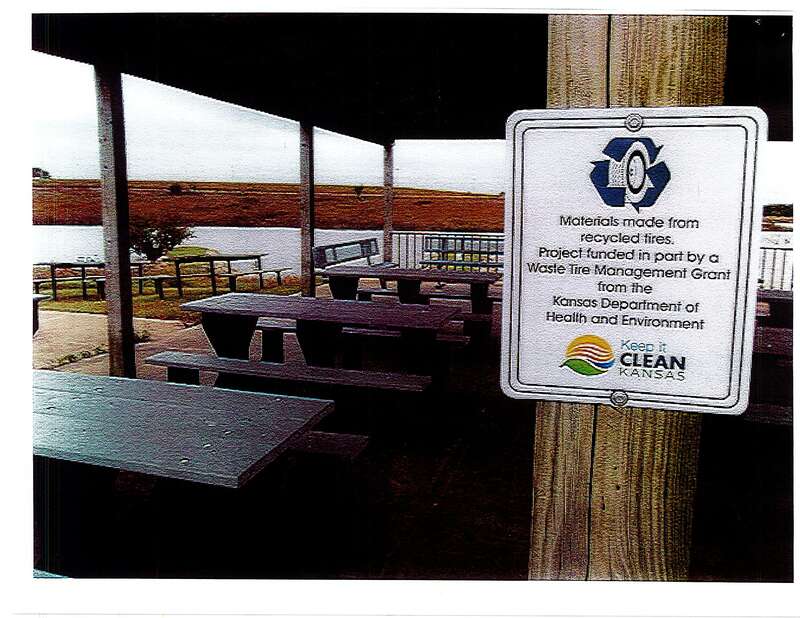 The City was able to replace 8 picnic tables out at the Yates Center Reservoir with the help of a 50/50 Kansas Department of Health and Environment Waste Tire Products Grant. We are very proud of this addition, so please take some time and check them out! South Owl Lake is located on the south edge of town. Take Highway 75 south to Reservoir Road. Turn west and follow the road to the lake. 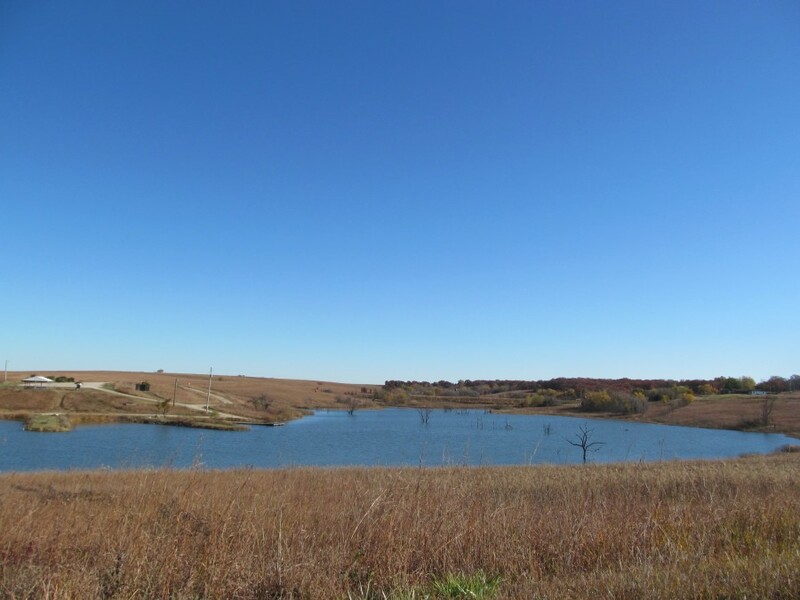 South Owl Lake has approximately 276 acres of surface water. 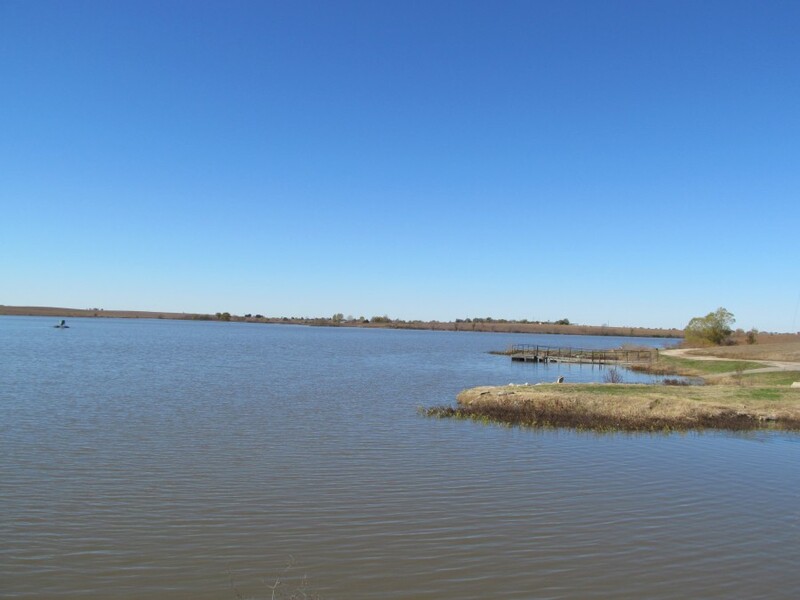 Nestled among the blackjack trees, the lake and its surroundings offer a beautiful setting for an exciting fishing experience or a wonderful family picnic. 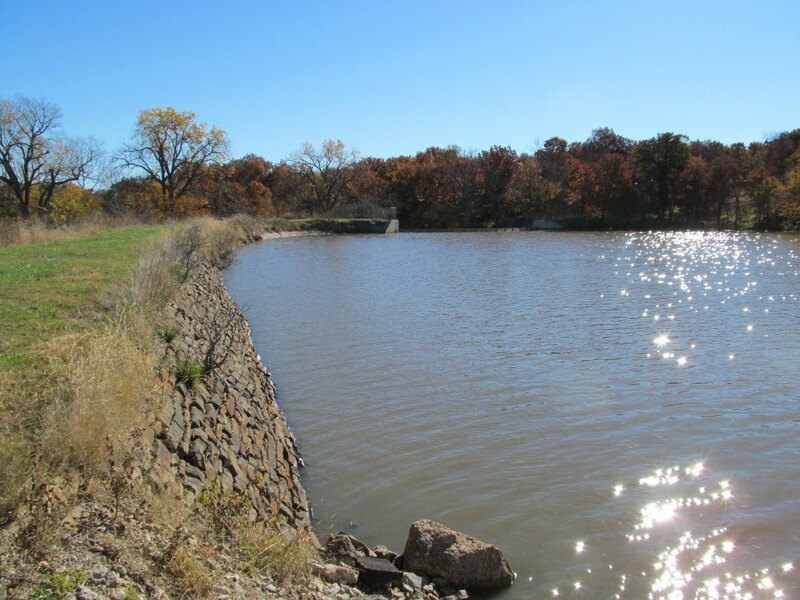 The lake has a turbidity problem due to erosion of the topsoil along the shore. 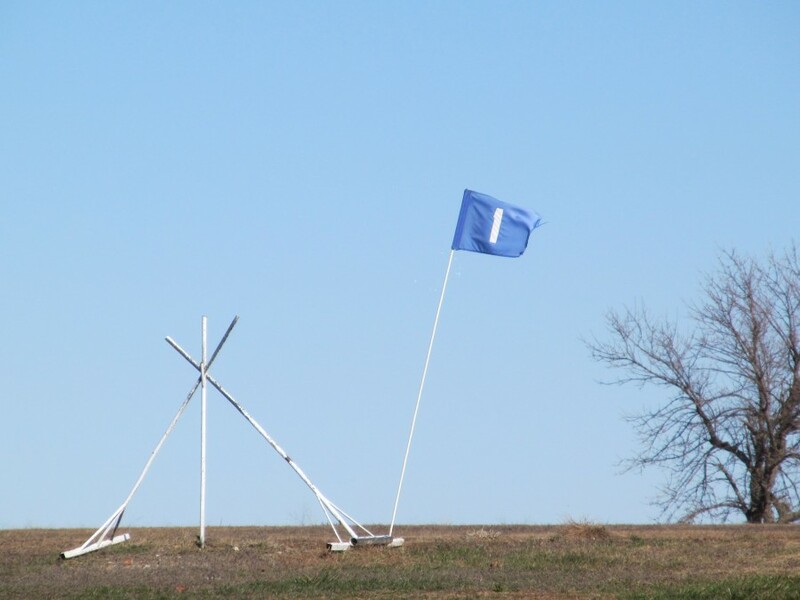 A drawdown is sometimes implemented in the fall to help alleviate this problem. 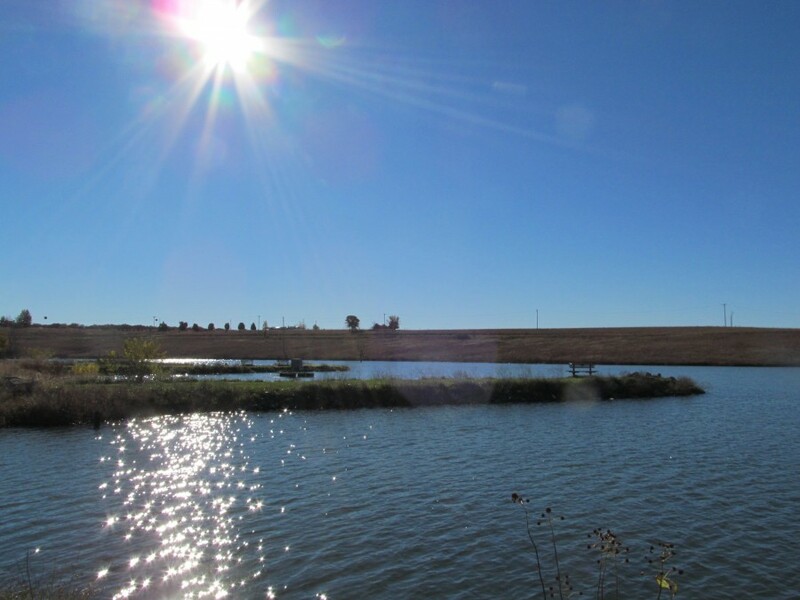 A feeding program increases the carrying capacity and growth rate of the channel catfish at this lake. 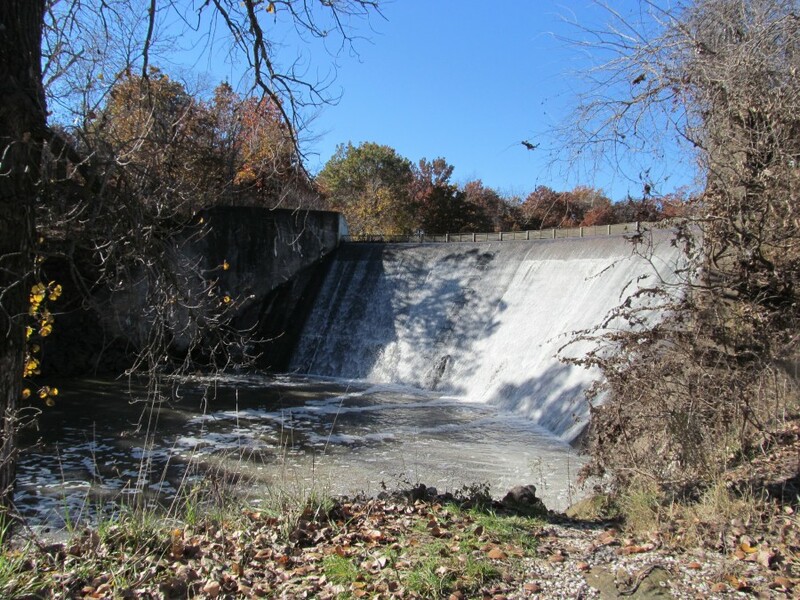 A fish barrier screen on the spillway reduces the loss of fish downstream during wet periods. Do not let the "muddy" water fool you, the lake has excellent bass, crappie and wiper fishing. 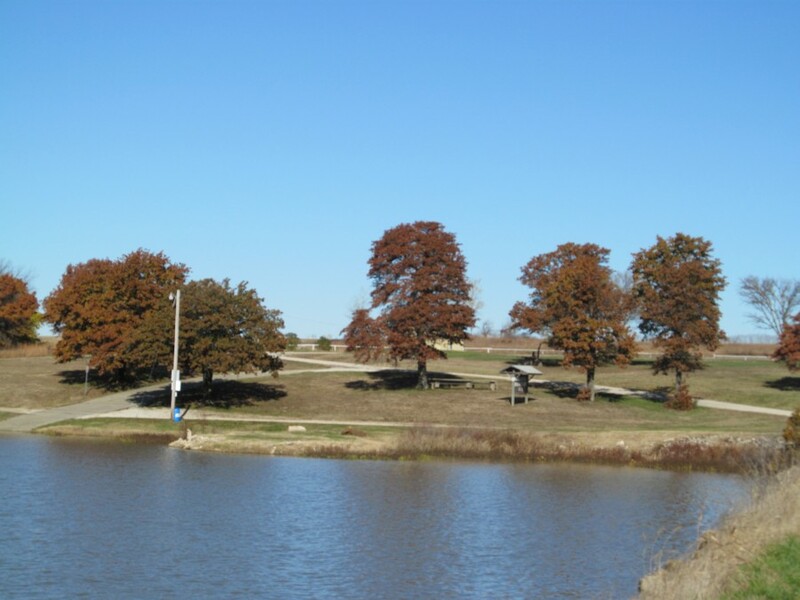 South Owl Lake and a boat ramp and fishing piers. 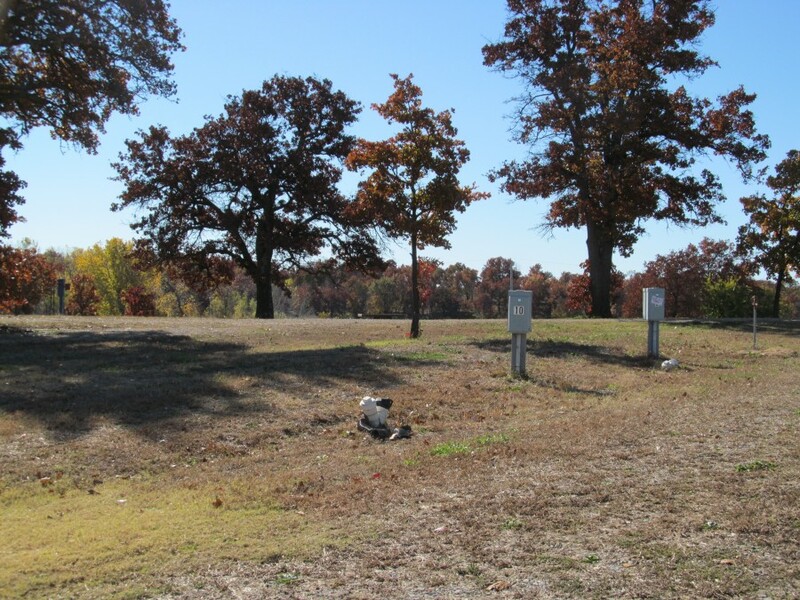 Improvements recently finished or in process, include a RV campground and an additional fishing pier on the west side of the lake. Plans are also being considered for a shelterhouse at the lake. The Lakeside Golf Course also adjoins the lake. Possession, creel and size limits are posted at the lakes. Special regulations that may be in effect will be posted at the lakes. It is illegal to carry or have in possession any firearm at any city lake except when legally hunting as provided by state or city ordinance. City properties are patrolled and lake regulations are enforced. Kids fishing pond available for groups by special arrangement. Not included in CFAP. Contact City Hall for information. "Get Hooked on Fishing, Not on Drugs", kids annual fishing derby is held the 1st Saturday of June.